The Chrismas holiday season in Germany has deep roots and many traditions – every year the magic of German Christmas Markets enchants millions of visitors as well as locals. (Lebkuchen) contribute to the traditional and romantic ambience. 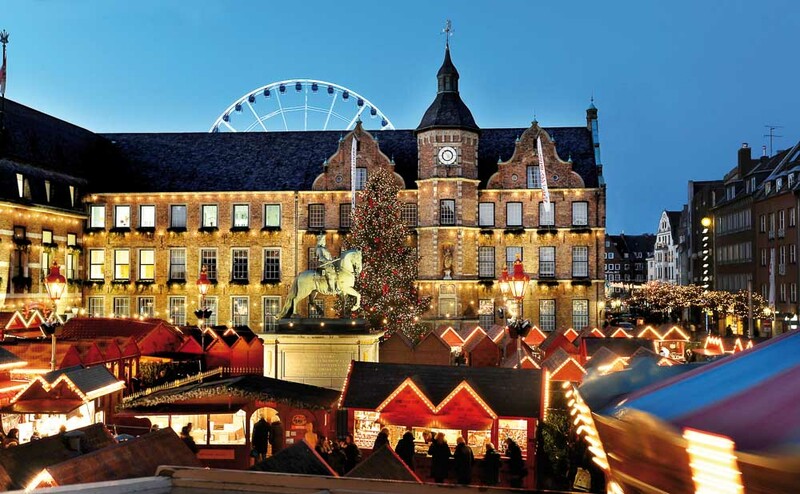 The majority of the Christmas Markets begin in the last week of November and run through Christmas Eve. 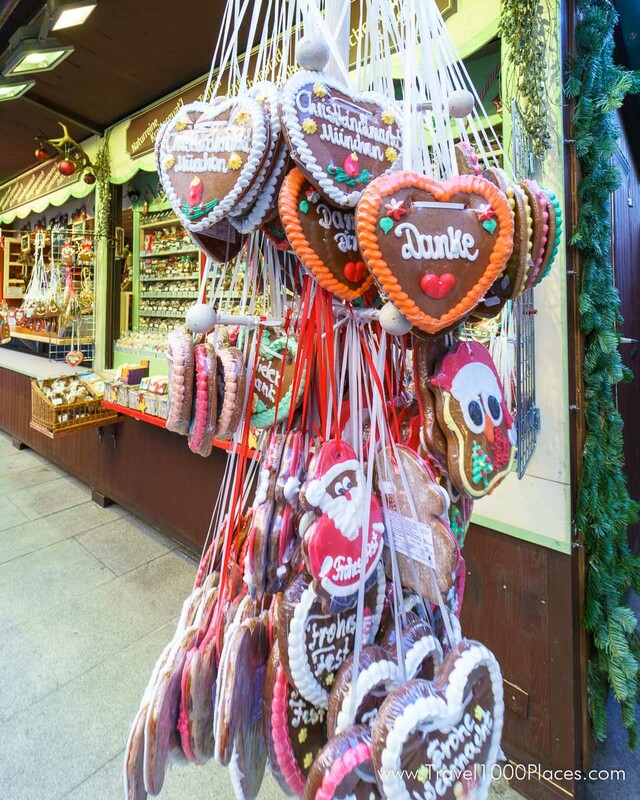 In this article we’d like to introduce some of the regions in Germany that are either well known or lesser known among visitors; also we’ll give you some insight into Christmas food traditions and more. The Christmas market in the town hall and on the market square of Blankenburgin the Harz region. The old town hall is transformed into a festive fairytale where visitors can enjoy grog, punch, mulled wine and a wealth of other tasty treats. Other exciting attractions, particularly for children, include the lovingly designed fairytale walkway in the vaulted cellars beneath the town hall where visitors can make their own small gifts. Audiences can enjoy a wide variety of events on the market square stage. Craftsmen, artists, traders and traditional travelers sell a range of very special products in a romantic festive atmosphere at the Christmas market in Dessau. Fairytale hours, advent music and the backdrop of the brick-built Church of St. Mary help to create a truly magical festive setting. Everyone is sure to find that perfect Christmas gift here. Ideally followed by a visit to a Christmas fairytale, opera or Christmas concert at the Anhalt Theatre. The Christmas market is open daily from 10am to 8pm. Festively lit half-timbered buildings, decorated lanes in the old quarter, the aroma of roasted almonds and warm mead: this is how Schwerin‘s Christmas market heralds the approach of Christmas around the impressive brick-built cathedral and historical squares of Mecklenburg-Western Pomerania‘s regional capital. At Pfaffenteich, the lake in the centre of Schwerin, children will absolutely love the toboggan run and artificial ice rink, petting zoo, Nativity scenes and life-size polar bear band. Underneath the 18-metre Christmas tree that sits in splendour on the market square, children can visit Father Christmas and tell him what they want for Christmas. There is a varied programme of entertainment on a number of stages around the old quarter. Glassblowers, wrought-iron craftsmen and potters present their wares along the market boulevards. And the regional market traders offer a host of delicious treats to help transform your Christmas dinner into a feast. The magical romantic atmosphere continues long after Christmas Eve in the former ducal town with its fairytale castle. The Schwerin Christmas market remains open to visitors of all ages until 30 December, except on 25 & 26 December (public holidays). The St. Nicholas market in Remagen opens its doors on the second weekend in Advent when the whole of the town centre is bathed in a festive glow. Around 70 craftspeople, associations and groups help to create a wonderful pre-Christmas atmosphere. The programme of Christmas music and entertainment gets people in the mood for the coming celebration: with choral music and attractions for the kids, a visit to Remagen‘s St. Nicholas market is always a real experience, and a ride on the children‘s carousel or boat swing will make children‘s eyes light up. Set around the market square, visitors will find a number of cosy huts and stalls. The whole square is bathed in the glow of festive lights and decorated with Christmas trees. Father Christmas also visits the market, bringing a small surprise gift for every child. Thuringia hosts some of the most unique Christmas markets from medieval Erfurt to the Castle Wartburg. One of the most famous and probably one of the most picturesque in all of Germany is in Erfurt, Thuringia’s capital and one of the largest untouched medieval cities in Germany. With the large Christmas tree, the nativity scene showing 14 hand-carved, almost life-size wooden figures, a magical fairytale forest and the large Christmas pyramid with its traditional characters, Erfurt’s Christmas Market is one of the loveliest. If you would like to experience medieval life first hand, the Christmas market at Wartburg Castle in Eisenach, will be the perfect getaway. Each year on the advent-weekends (=the 4 weekends before Christmas) the courtyard of that medieval castle, where Martin Luther lived, hosts a variety of traditional crafts, medieval musicians and traveling entertainers. The castle even hosts a luxury hotel, so you can spend a whole medieval weekend within these winter wonderland surroundings. Christmas wonderland, attracting thousands of visitors every year.